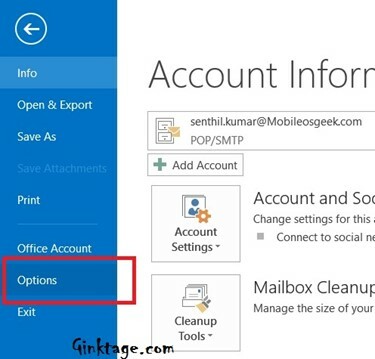 How to Download Images Automatically in Outlook 2013? This article will explain in simple steps on how to automatically download images in Microsoft Outlook 2013. For security reasons, Microsoft Outlook does not download Images automatically when a new email is received. This can be overridden by modifying the settings in Microsoft Outlook 2013 where all the images will be automatically downloaded as soon as it is received. 1. Launch Microsoft Outlook 2013 and click File -> Options. 2. 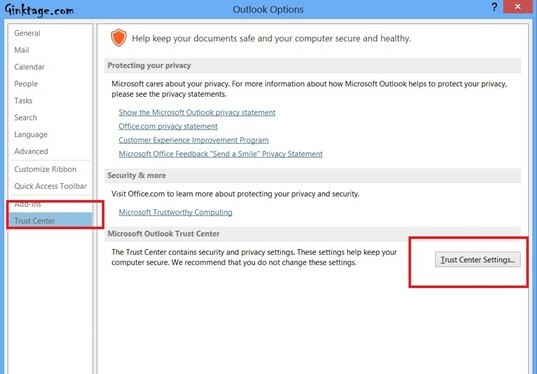 In the left sidebar of the Outlook Options, Select Trust Center and then click the Trust Center Settings button. 3. 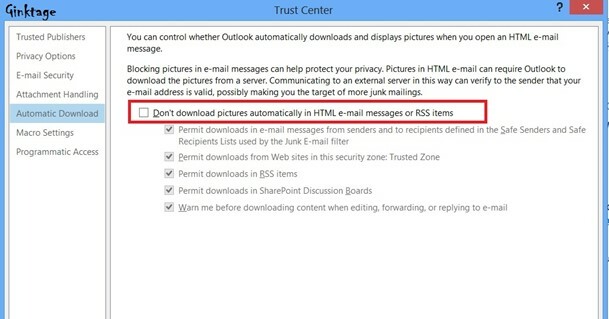 In the Trust Center Dialog, select the option Automatic Download from the left sidebar and then uncheck the option “Don’t download pictures automatically in HTML e-mail messages or RSS items”.